Oh dear… It could be the end of the Internet as we know it, and I’m not even joking. That bunch of idiotic imbeciles in Brussels have overwhelmingly voted for ratifying Article 13 of the new European Copyright Law provisions, which as anyone with any degree of common sense will grasp will have completely the opposite effect to that intended. It’s a law designed to protect intellectual property and creativity, which will actually have the effect of stifling creativity before its conception. Its also the thin end of the wedge as far as I’m concerned that clearly demonstrates that in today’s ‘democratic’ societies, it’s certainly not the populace who run the show, neither is it the politicians: It’s the faceless, self-serving, multinational business concerns that are calling the shots and who have the puppet politicians in the palm of their sweaty, money grabbing hands. In broad terms, for those not in the know, Article 13 – should it become law – will require all but the smallest of companies that host or facilitate the upload of user-created content onto any web based platform, to actively screen and police such content to prevent copyright infringement from taking place. On the face of it, that may sound reasonable, however what Article 13 fails to acknowledge is that there is no technology currently extant, or likely to be any time soon, capable of curating and accurately identifying such content across the vast spectrum of possible media types in use, and that whatever solutions are available or would eventually be developed are going to be prohibitively expensive to all but the very richest of companies. (Who are, unsurprisingly, at the forefront of the driving force behind the legislation). In the simplest turns, a company with a market value in the trillions, such as Amazon and Alphabet, are not really going to particularly struggle with the new requirements, indeed they’ll take it as an opportunity to extend their portfolio of services and make even more obscene piles of cash, but smaller companies i.e. 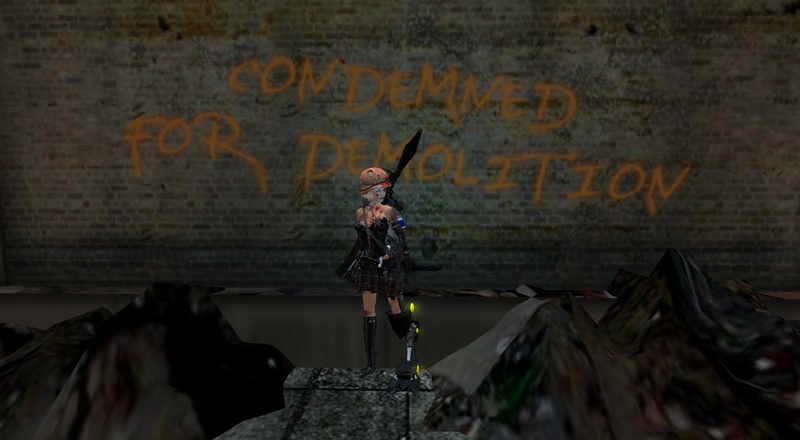 everyone else, including Linden Lab are simply never going to have the capability to comply. So, what would be the potential options for Linden Lab, should Article 13 become law? Do nothing. Clearly they’re not going to do this, but if I was running the show, that’s exactly what I’d do, because it’s going to take years before even the first case is successfully prosecuted and all the legal wranglings are going to be sorted out. I bet the lawyers are rubbing their hands over the legal status of, for example, an object that is non-copyrighted in the country of upload origin, but which is copyright in Europe, being uploaded to the Canadian servers of an American company being prosecuted by an EU member state! (And let’s not even think about how Brexit would come into play). Why not just sit tight and wait until there’s no option other than compliance – which could be decades down the line? C’mon Labbies, where’s your Maverick spirit… Show us you’ve got the cojones! Stop all user uploads. Again, they’re not going to do this, although in the short term they might feel they have no option (assuming they don’t have the cojones mentioned above). Simply put, they’re not going to have the capability or resources to police user uploads as per Article 13 – hell, they can’t even manage it now! So, if you can’t police it, then take away any need to do so. Obviously, for a world that is created almost entirely from user-created content, this is slow suicide and probably not the best business decision to be making, but we are talking about LL here! Inworld creation tools only. Imagine if the Lab had a billion bucks just hanging about doing nothing, and a whole heap of uber-talented developers with oodles of time on their hands. They could then quite happily create inworld versions of Photoshop, Maya, Blender, Cakewalk and so on, so that creators could only create original work, and negating any need to upload anything created from external copyright material with third party software. However I’m guessing the Lab don’t have any of those spare pre-requisites knocking about in Battery Street for this to ever happen, so it won’t. A tried and tested solution. What if the Lindens just forced everyone who wanted to upload any content complete a little copyright quiz before they were allowed to do so? ‘Cause that really worked for mesh, didn’t it? The only viable option. What will happen, of course, is that Linden Lab will simply be forced to do what almost every other company permitting EU users to upload content will have to do… Bite the bullet and stump up the cash to buy into whatever service the Alphabet/Google/Amazon/Microsoft giants will be selling to handle those uploads. It won’t be cheap, and that may well have an impact on the end users in SL, but what choice really do the Lab have? It’s a sad day for the internet, let’s just hope it doesn’t come to that. As for us bloggers, we’ll be clobbered by it too – and worse. It’s a double-whammy for us poor souls who will also have to deal with the fallout from Article 11 which, believe me, will reduce the integrity of any information we can link to, to a level of mere fantasy and conjecture. Then we can all strut around barking about fake news, like the idiot tangerine… Only in the future, it’ll be true. This entry was posted in Builder's bum, Philosophicalisticality, Rants, RL, SL. Bookmark the permalink.